Check it, I went sailing last week. First time ever! 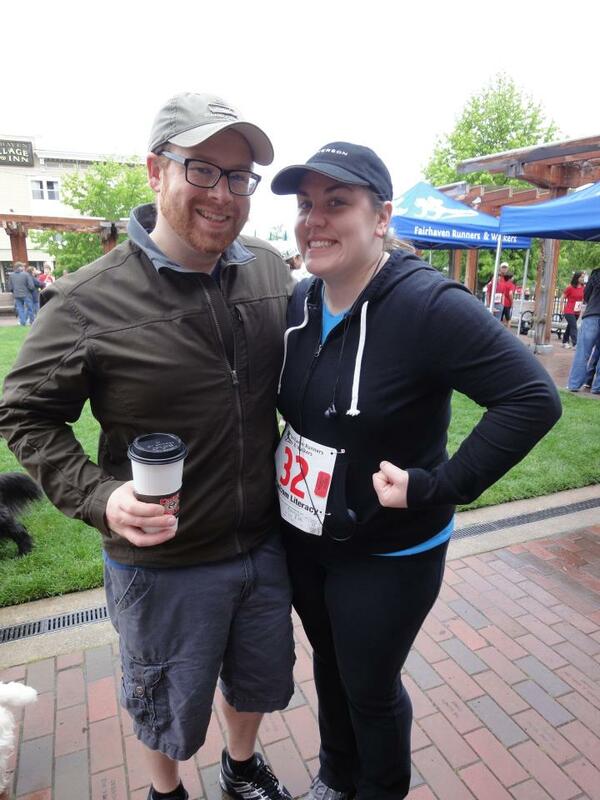 Today marks the three year anniversary to my very first 5k – the Whatcom Literacy Council 5k in 2012. I missed writing about my runniversary in April, but it was not lost on me that I have now been a runner for 3 years. I’ve been reflecting on my journey and progress lately, so this raceiversary is ripe with feels. That first race was so daunting. I was scared and nervous milling around the start line. Mr. came to cheer me on, but I felt so alone. The people, the process, it was all very foreign. I made the usual rookie mistakes during the race and I’d never run on anything but very flat pavement. The race tackled some decent hills and was 90% on gravel and dirt trails. It was surprising how different it was to run with people around. I’d only ever run alone at that point, and the whole thing made me feel exposed and vulnerable and watched. When I crossed the finish line, I don’t think I realized quite what I’d done. I knew I’d run my first race, but what I didn’t know was what I’d gotten myself into longer term. The bug really bit me quite hard and I signed up for race after race for the next 6 months. It was an enthusiastic race season and I started to push out of comfort zones with distance and location, trails and obstacles, books and podcasts. I’ve been sick for the last few weeks – really down for the count with some awful flu/cold – and I’m only just now starting to run again. I’ve been half itching to get out and half dreading hitting the pavement and finding out how taking almost three weeks off had destroyed so much of the progress I’ve been enjoying this year. But instead, last night I found myself beaming ear to ear as I plodded along. It was such a joy to be out again in the sun treading well-worn side walks and passing familiar houses. I didn’t go far, and I didn’t go fast, but I was surprised at how great it felt. Running feels truly integrated into my life these days. The last few weeks have been really rough forcing myself to stay in and rest. I’ve missed tons of great weather but I’ve also missed the physical and mental release. Without running, I think I might curl up in a ball and wither away. I am running my June 5k this weekend and I’ll most certainly be thinking about my raceiversary and how far I’ve come, and how far I’ve gone.